Marcus Aurelius was the Emperor-Philosopher of the Roman Empire and one of the most enlightened leaders ever. Meditations is a collection of journal entries he wrote to himself and in this book we'll explore some great Ideas of his Stoic philosophy—from the importance of never confusing ourselves with visions of a lifetime all at once, to not worrying about what others think of us and living a life of purpose and service. Rumi's poetry is stunning. In this book, we'll explore some inspiring wisdom from the Sufi mystic and have fun applying it to our 21st century lives—from the importance of having patience and seeing challenging times as God's way of strengthening us to working hard and going for it. Confucius. Talk about old school. I’ve waded through some of the arcane stuff from his classic "Analects" to bring us some highly practical wisdom for our 21st century lives. We'll take a look at a bunch of big Ideas on the importance of being a passionate (and patient!) student of life while striving to do our best. Good stuff. The classic text of Hinduism is *packed* with wisdom. In the book, we take a super quick look at the context for the book and then jump into some powerful wisdom—including the importance of meditation, the fact that making mistakes is an inherent part of our growth process and the uber-importance of letting go of our attachment to results. Ralph Waldo Emerson is a hero of mine (he occupies the Great- Great+ Grandfather slot in my spiritual family tree) and his esssm and one of the top old school classics of all time. In this book , we'll take a look at everything from making use of solitude to the fact that the journey of a thousand miles begins with the first st ep (heard that before, eh?!). We'll also learn to let go of our attachment to future results and gracefully roll with the ebbs and flows of life. This book has been a top seller since it was published in 1990, offering advice on how to improve your leadership and get ahead in business. First published in 1937, this book aims to help people of all age. Allen This short book will help you realize that yo u’re only as good as you think you are and help you change the way you see and imagine yourself. This story may be fictional, but it offers powerful lessons in being strong in mind an d spirit rather than in the body. An easy evening read, I read this book a f ew years ago and was quite entranced by it. It is told as the fa ble of a young shepard boy who goes on a quest to find a worldly treas ure. From his home in Spain, he journeys around the world and learns the values of hard work, and following his dreams. This book practically became a cult phenomenon. This book introduced the concept of Syncronicity. Actually syncronicity is redefined in this book. A fun read, sometimes it is a little predictable and I found that the ending needed work. However, if you haven't read it, you probably should. One of my favorite books of all time. I used to buy this in paperback and give copies away for Christmas. Once you read one of Og Mandino's books, you'll start reading them all. His books are very popular best sellers. They are all very easy to understand and the story in this one keeps you guessing. It is a story of a young accountant who meets a street magician and learns from him a philosophy of following your dreams. Anatomy of the Spirit by Carolyn Myss: This book blends religious doctrine with human anatomy, showing readers how their thoughts and health may be connected. This author explains how people can still eat the foods they love (cheeses, indulgent chocolates) without packing on the pounds by following this European regimen. If you want to start running or are already a devoted jogger, this fictional novel will inspire and educate. Learn to navigate the food choices you make with more aplomb in this book. Whether you love or hate Richard Simmons you won’t be able to deny the motivation the stories in this book offer. This book isn’t just about losing weight–it teaches readers about food so they can made educated choices about what they consume and can make sustained lifestyle changes. The authors of this book believe that the best tool for losing weight is knowledge. If you have cancer or another illness, these stories of strength and survival are sure to raise your spirits. Check out this book for advice and information on staying young well into your golden years. One of my more recent reads, I found that the story was so gripping from the first few pages, that I couldn't put it down. I recently read this and was absolutely amazed at how similar it was to my own writing. I hope to meet Dan Milman some day and talk about our writing styles. More of a guidebook really. The fiction in this book isn't really even necessary. This book was a gift, that I've truly cherished. Though it is a science fiction novel, it is a very powerful philosophy book. I loved it. Your thoughts and your dreams determine what you are and what you will be. This little book is meant to stimulate men and women to the discovery and perception of the truth that they themselves are makers of themselves, by virtue of the thoughts which they choose and encourage. I love this book. I used to buy it for all my employees. The main thing I remember from it is that you can get ahead in life by simply doing a "little" more than the other guy. You don't have to do great and amazing things. Just simply take care of the little things and learn to care about the other guy. This is what leads to true success. If you haven't read this book, there are many copies available on the market. Buy it and read it and pass it on. The title tells it all. Your thoughts determine your actions and therefore your success. This is one of the best books ever written on the power of positive thinking. I cannot recommend this book enough. When I first got out of college I read this and I was changed forever. Buy this book and you will not be sorry. 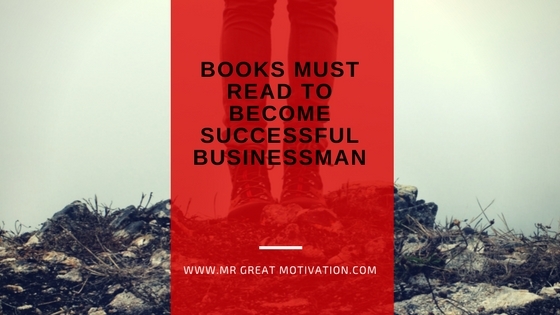 Over the years, I've read and listened to a great deal of self-help type books. Unlimited Power provides a clear path to maximizing one's own potential. Unlimited Power" contains three different parts: Section I: The Modeling of Human Excellence Section II: The Ultimate Success Formula Section III: Leadership: The Challenge of Excellence. Tony Robbins is an excellent motivator. I highly recommend any of his products. This is pretty much the Bible on the Law of Attraction and in this book we'll take a look at how Esther and Jerry define The Law of Attraction (they say it's kinda like tuning your radio to the right station so you can hear the music you love! ), how to use your Emotional Fuel Gauge (that's one of my favorite Ideas ever) and how to create intentions throughout your day to put yourself in the driver's seat of life. Zen Master Genpo Roshi spent decades figuring out how to best help people develop enlightened awareness and came up with his revolutionary process called "Big Mind." In this book, we'll take a peek at some Big Ideas from the Zen Master including how the root of suffering (dukkha) is getting stuck in one perspective and how that's about as effective as having a Maserati stuck in first gear. We'll also explore the place beyond idiot compassion as we become integrated human beings giving ourselves joyfully to the world. Dan Milllman's a former world champion gymnast and coach of the Stanford and Berkeley gymnastic teams whose got some great ideas on how to achieve Body, Mind and Spirit mastery. In this book we explore a bunch of 'em including how to deal with the fear of failure, what we can learn from babies and how to build new habits as we become masters of our lives who shine everywhere! Who knew the Godfather of hip-hop was also an incredible yogi and spiritual teacher?!? In this book, we'll have fun learning how to "Do You!!" as we tap into the importance of having a powerful vision for our lives, the fact that a mantra is literally a "tool of thought" we can use to shape our minds, and how important it is to take the next baby step in front of us as we give ourselves most fully to the world. This is one of three titles we cover by Esther and Jerry Hicks. In this book, we'll look at some Big Ideas on how to rock the Law of Attraction to circulate wealth. We'll explore the fact that the most valuable skill we'll ever have is the control of our minds and how we need to make our lifetime career all about discovering and following our bliss! One of the best-selling self-development franchises of all time, this book is packed with Big Ideas. In the book, we'll quickly look at why you want to invest in assets that produce income and how your house is (gulp) a liability, not an asset then we'll move on to explore the keys to thinking like the Rich Dad—controlling our thoughts, facing our fears, and all that jazz.